The nearest town to our Yurt Centre is Castillo de Locubín, which is only a 10 minute drive or a 45 minute walk away. In this attractive town you will find a range of shops, bars, restaurants and other services, as well as friendly people and a truly authentic Spanish vibe. The central square, or plaza, has 2 lovely bars with terraces and is a fantastic spot to while away the hours and watch the comings and goings of the town. Only slightly further afield is the large and vibrant town of Alcalá la Real, which can be easily reached in 20 minutes by car from Cortijo Vadillo. 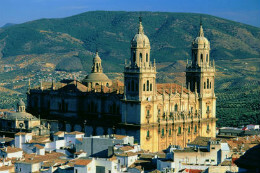 Again the atmosphere is that of the real rural Andalucía, and there is an extensive range of bars, restaurants and shops. Alcalá la Real also boasts a stunning Moorish castle, La Fortaleza de la Mota, which is soon to be home to a new Parador. It is open to visitors throughout the year, has a new multi-media presentation, and is often the venue for concerts, Medieval fairs, and the enactment of tales and legends from the local area. Just below the castle is a new Amphibian and Reptile Centre, and in the town there is a museum and exhibition centre. The large plaza is a vibrant place, particularly at the weekends, where friends and families gather to relax and socialise. Both these towns also continue the wonderful tradition of giving free tapas, or small portions of food, with the drinks they serve. This is a custom that luckily exists in both the provinces of Jaén and Granada, and is a great way to sample a wide range of delicious Spanish dishes. Why not ask us to arrange a tapa tour for you during your stay? 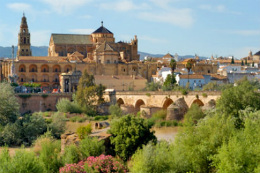 Three of the major historical and cultural cities of Andalucía – Granada, Córdoba and Jaén – are all within 1.5 hours drive from Cortijo Vadillo. 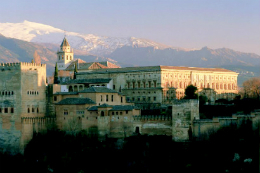 In each of these cities you will find an extensive range of sites of historical interest, the most significant of these being the Alhambra and the Mezquita – just let us know if you’d like us to book tickets in advance for you. As you’d expect from a vibrant, modern city, they also offer a fantastic range of shops, bars and restaurants. And you might be interested in checking out one of these: Granada’s Aquaola Water Park, Córdoba Botanical Gardens and Zoo, Granada’s Science Park, The Sierra Nevada Ski Resort.